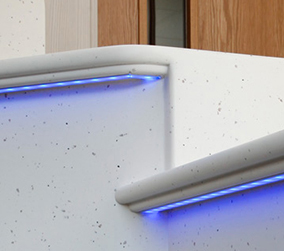 Our showrooms are located in Mildenhall within a three-acre site. Free parking is available to those visiting our showrooms, which are conveniently located within walking distance of the town centre. 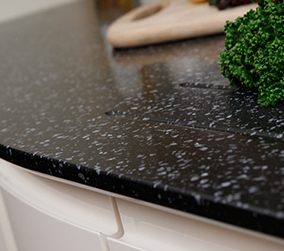 We have over 20 kitchens on display within our showrooms, which include a selection of different finishes. 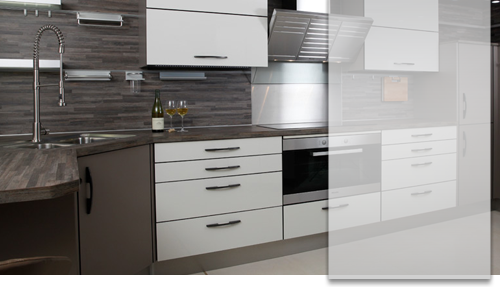 We can supply German kitchens and other continental produced kitchens if you are looking for inspiration from a varied selection of products. A visit to our kitchen showrooms can be beneficial if you are having difficulty deciding on a particular style or product. Our experienced kitchen designers can also create bespoke kitchens that aspire to your own vision and needs. Our experts can offer innovative design solutions with attention to detail to ensure you also achieve a practical design with optimal storage. Our years of experience in product selection means that we can offer high quality products and appliances at competitive prices. Whether you are looking for products that use the latest technology, or simply require quality products to suit your budget, our staff can help you select the best products for your needs. In addition to our kitchen showrooms, we also have a large selection of bedroom furniture, fitted wardrobes and home office furniture on display. We can help you create unique storage solutions that can be tailored to your room. We also have a good selection of bathrooms on display within our bathroom showrooms if you are looking to update multiple rooms within your property. Our showrooms in Mildenhall can be easily reached from Bury St. Edmunds and we are able to offer our installation services to this area. If you reside in Bury St. Edmunds or Ipswich and are looking for Kitchen showrooms with an extensive selection of products, why not pay us a visit. Our friendly and experienced staff will be happy to help. We also cover Cambridge, King's Lynn, Thetford, Newmarket and other areas. If you would like to find out more about our products and services, please do not hesitate to contact us.